Our customers get an exceptional standard of continued service for the duration of their agreement. 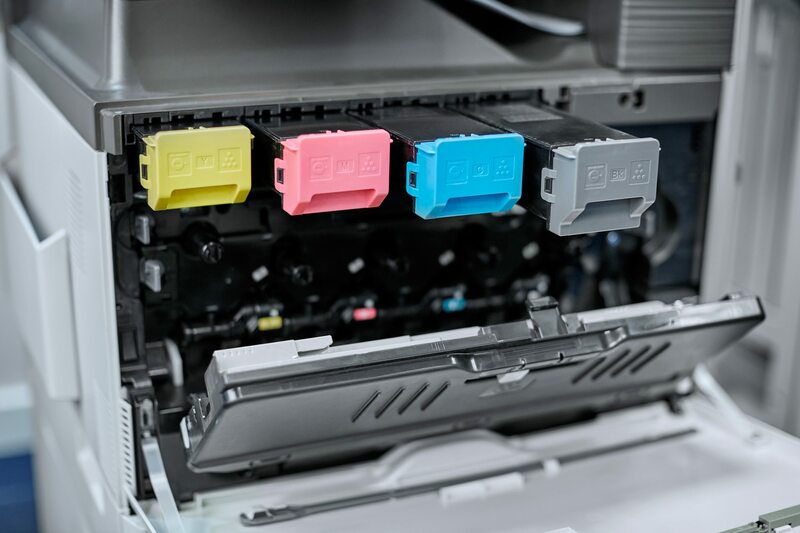 Our Account Managers provide a single point of contact throughout, our service and maintenance protects your devices and maximises device uptime, and our consumables monitoring and delivery means you never run out of toner supplies. We don’t just provide the solution – we look after it as well. This short overview video will give you an idea of how we look after our customers, our experience in dealing with issues and the assurances of rapid, accurate and high-quality service we provide. When you partner with United Carlton, gone are the days of stockpiling toners, or printers being out of action for days while replacements are ordered. Our remote fleet management software is designed to identify when your toners are running low, and arrange to dispatch replacements before you need it. No intervention is required from the customer – it’s all part of the service. 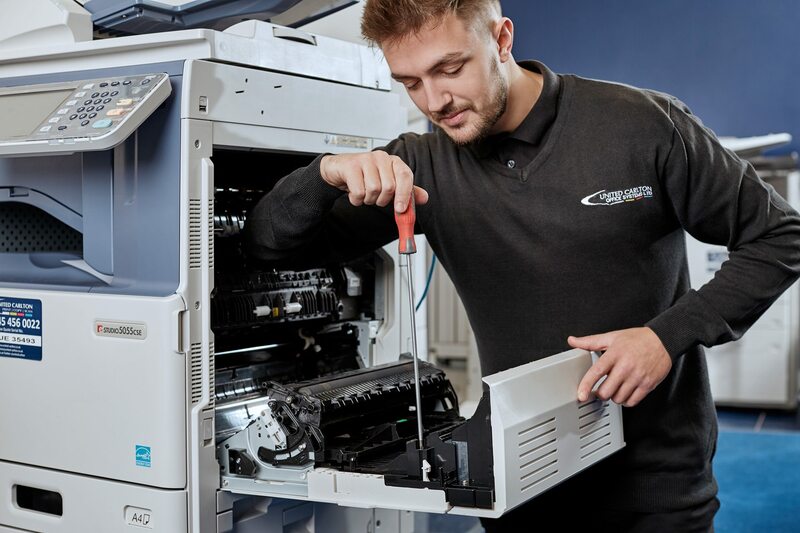 United Carlton have a proud record of 99% uptime on our devices – that’s not down to luck though, it’s thanks to the efforts of our highly skilled and trained engineers, who conduct routine scheduled maintenance on our customers’ printers. Our remote fleet management software also has the ability to monitor your device status, and detect potential issues before they occur. In these cases, an engineer will be despatched to rectify the situation as soon as possible, preventing the problem before it occurs. On the rare occasions that one of our machines breaks down, we’ll do our very best to get you back up and running as soon as possible. There’ll be no repeated visits from engineers who need to return after “ordering a part”; we have a first-time fix rate of 95%. 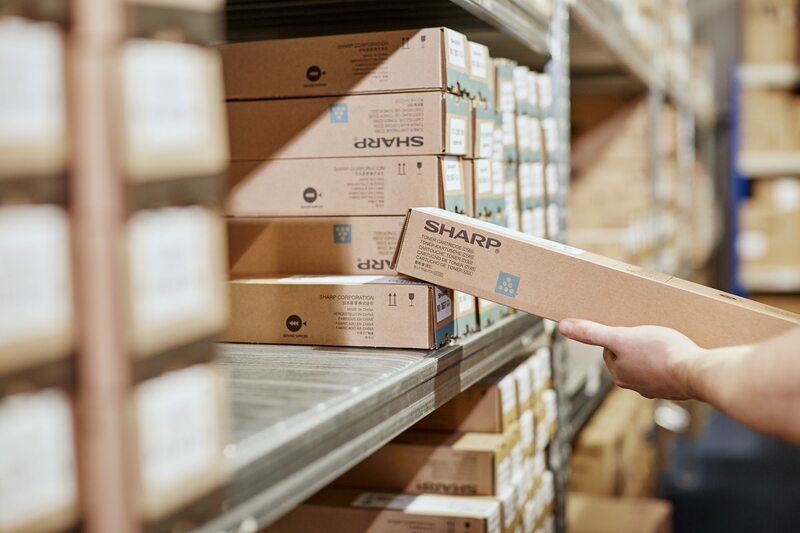 United Carlton hold over £1m worth of the most commonly-required spares in our warehouses, with our engineers also holding stock of them in their vehicles, to ensure that you’re never kept waiting for a part to be delivered.